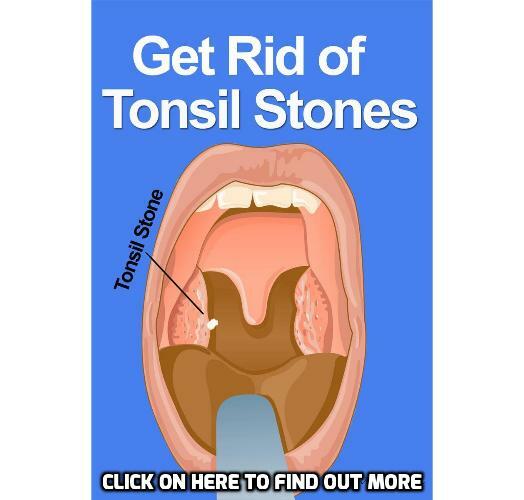 Individuals who are suffering from tonsil stones can exhibit obvious symptoms, such as bad breath, a sore throat, swollen throat tissue, difficulty swallowing, earaches, and white debris that is visible at the back of the throat. However, some patients who are suffering from tonsil stones may develop many small tonsil stones instead, which do not involve these symptoms. As a result, small and asymptomatic tonsil stones are often discovered incidentally via an x-ray or a CT scan. The tonsils function as part of the body’s immune system, defending the mouth, respiratory tract, and gastrointestinal tract from invading substances. If bacteria, viruses, fungi, postnasal mucus, or food particles become lodged in the crypts that line the surface of the tonsils, these substances can combine, putrefy, and harden into small, whitish lumps. Larger tonsil stones, also known as tonsilloliths, are associated with noticeable and more-severe symptoms like those listed previously. Most individuals who develop tiny tonsil stones end up swallowing these hardened pieces of debris without ever noticing them. This is because most people’s tonsils have shallower crypts that usually dislodge the tonsil stones while they are still relatively small, which prevent the stones from becoming large or uncomfortable. In those whose tonsils are larger, however, these stones can become wedged in deep crypts and continue to grow in size. Larger tonsil stones can be painful and bothersome, creating unpleasant symptoms like a fever, chronic bad breath, and a continuously sore throat. Tonsil stones can usually be prevented by several helpful strategies, such as maintaining good oral hygiene, gargling with salt water, drinking plenty of water, and striving to eat a healthy diet. If you think you may be suffering from tonsil stones, see your doctor for an examination of your throat, head, and neck. Tell your doctor about any related symptoms that you may be experiencing as well. If you are not suffering from any related symptoms, your condition is most likely not serious. Your doctor may look for any visible stones or may conduct further imaging to see if they are present. If small stones are evident, your doctor will simply brush or scrape out any visible tonsil stones. But if your tonsil stones are causing you discomfort or pain, your doctor may refer you to an ear, nose, and throat specialist for further treatment. Previous PostPrevious How Best To Prevent Tonsil Stones?